Maybe she’s born with it…or maybe it’s hair tools. Does anyone else have a love-hate relationship with their hair? Some days we are feeling like those girls in a Pantene commercial (honestly, me today) OR it’s a day where you wish you could wear a hat to work. 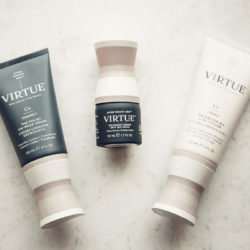 Good shampoo and conditioner (Virtue is one of our favs!). Reducing the amount of washing. Claudia and I both wash our hair every other day! 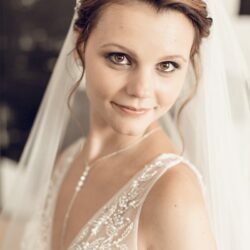 To help with these must-do’s for your do, there are also a five hair tools that we’ve found along the way that totally help! Okay, so by now we’ve all heard the benefits of avoiding washing your hair everyday. So when it comes to the days when you’re not washing your hair (but still showering…please!) you have two options: wear a shower cap in the shower or put your hair in a top knot and find yourself dancing around the shower to avoid getting your hair wet. If you’re like me, the dance never works and the second you drop your razor and have to bend over, BOOM your hair is wet. So, shower cap it is. 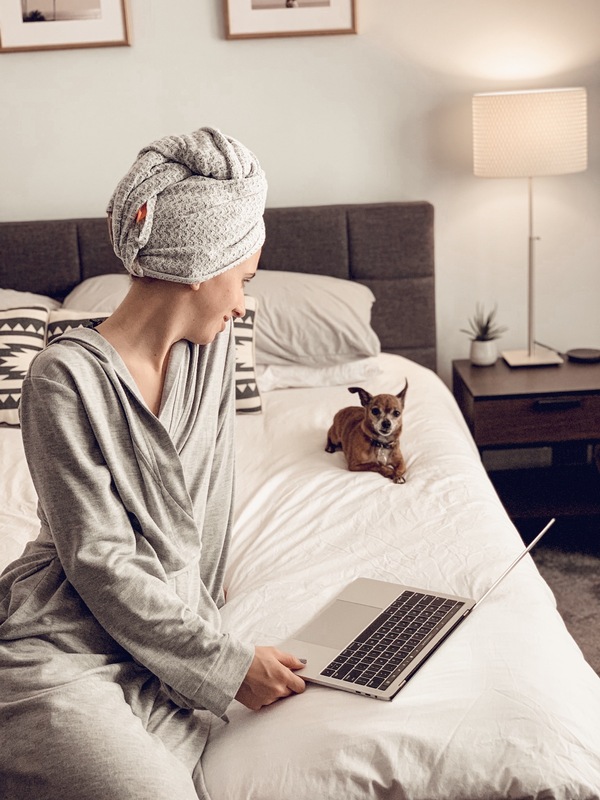 I don’t know about you guys, but when I think “shower cap” I don’t necessarily think of it being chic or Instagram-worthy, but it is 2019 and just about everything is made insta-worthy these days so…let me introduce you to the Shhhowercap. Shhhowercap has taken everything you think is wrong with a shower cap and fixed it. These shower caps are durable (they will last a lifetime, I’m sure of it! ), machine-washable, cute (well as cute as a shower cap can be lol), and the best thing…they actually stay in place and keep your hair DRY. Imagine that! Did you know your hair is at its most vulnerable state while it’s wet?! Your post-shower routine needs to be oh-so-sensitive to your hair’s needs! That means, you need it to be dry as fast as possible in the healthiest way. The AQUIS Hair Towel just does that! This hair towel cuts drying time IN HALF compared to other towels. That’s amazing!! The towel is made from their proprietary fabric called Aquitex. 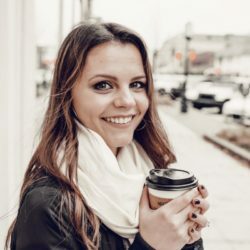 So, it totally prevents Hygral Fatigue—the stretching and swelling of wet hair that makes it vulnerable to frizz, split-ends and damage. 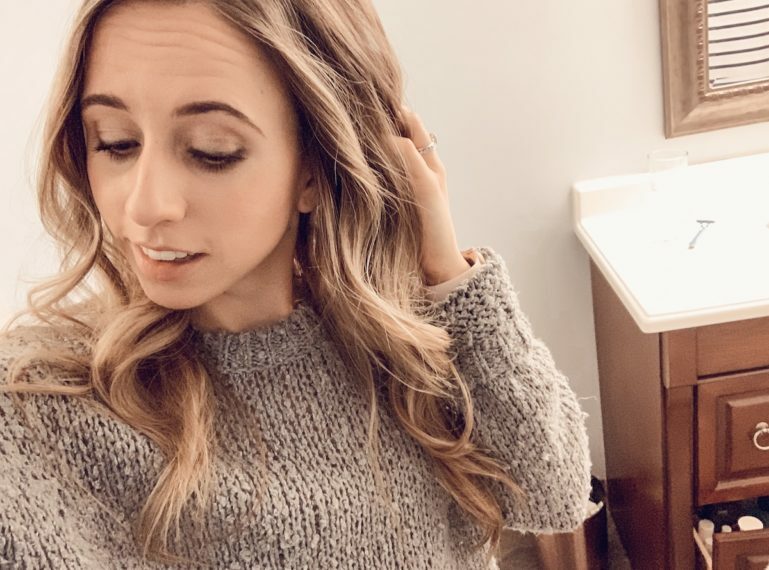 I’ve been using my AQUIS Rapid Dry Hair Towels for quite some time now and I knew Claudia needed to try it, so I got it for her for Christmas! Long story short, we’ve both been loving our healthier, frizz free hair! Pro tip: I recommend getting the towel without the elastic built in because the elastic in these towels is SUPER tight and totally gives me a headache! It’s Claudia popping in! 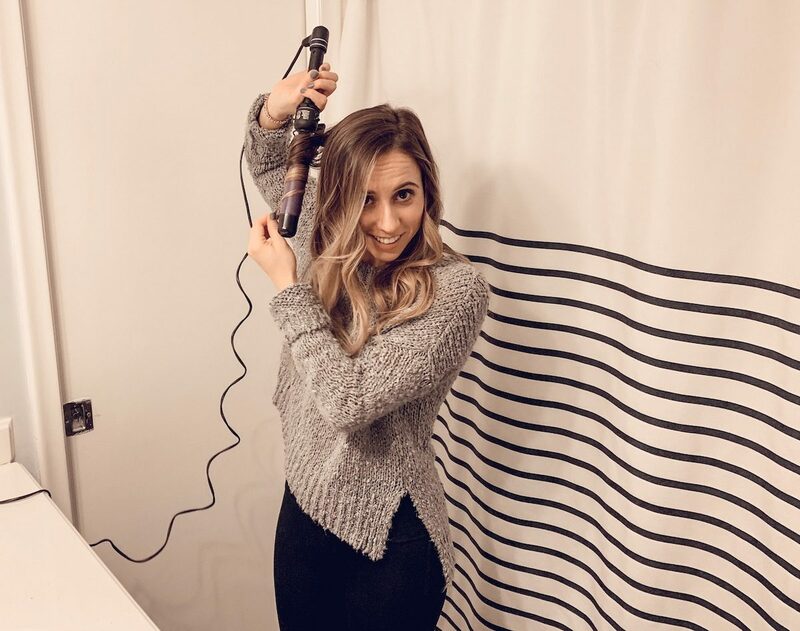 Now when it comes to drying your hair, it’s good to make sure you’re using a tool that will limit the amount of damage to your luscious locks! Alex and I got the Dyson Supersonic Blow Dryer as a wedding present and we absolutely LOVE it (He uses it more than me! Lol). It’s extremely expensive, so it’s best you put it on your birthday/Christmas/Hanukkah list! But it’s amazing what a really good blow dryer can do for your hair. Leaves my hair frizz-free and shinier than ever…like a professional blow out but at home! If I’m wearing my hair down and going anywhere where I need to look presentable, my hair will be curled. No ifs ands or buts. I love a good loose, beachy wave! It’s easy to do (AT least for me, and I’m the WORST hair styler on the planet I’m pretty sure) and it (usually) holds throughout the day, or at least it dies down well. 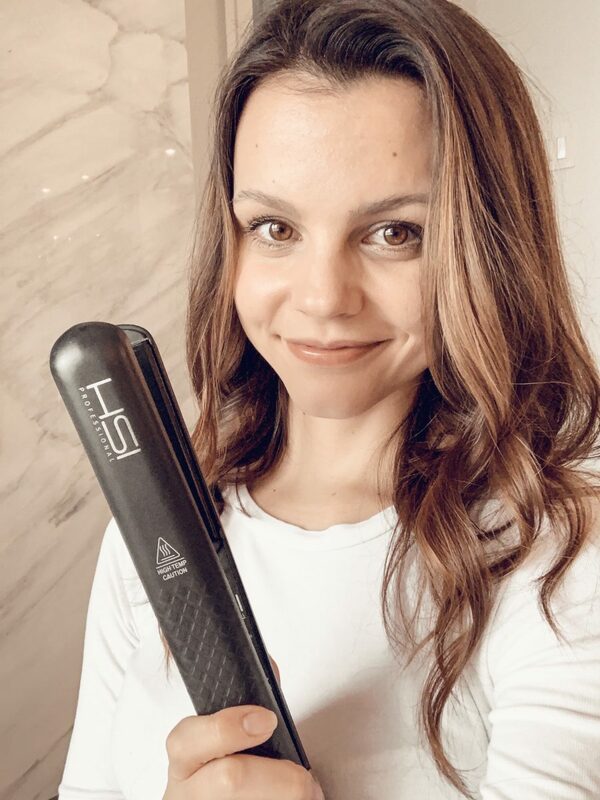 The way I get my go-to waves is with my 1-1/4″ Hot Tools Professional Ceramic Titanium Professional Curling Iron. Yes, it has a clamp, but I totally use it as a wand and I have no issues! I’ve been using this curling iron FOREVER. I mean probably since my senior year of high school?! So like 6-7 years?! It works like charm, has a temperature knob, and has held up extremely well through the years. It still looks brand new in my opinion! Claudia again! Just like Sam, I love my loose curls, but instead of using a curling iron, I use a HSI Professional Flat Iron. I originally got this flat iron because I needed a dual voltage iron that I could bring on my honeymoon to Europe. And it turns out, this is one of the best flat irons I’ve ever used! It’s really great at reducing frizz and it never pulls on my hair. 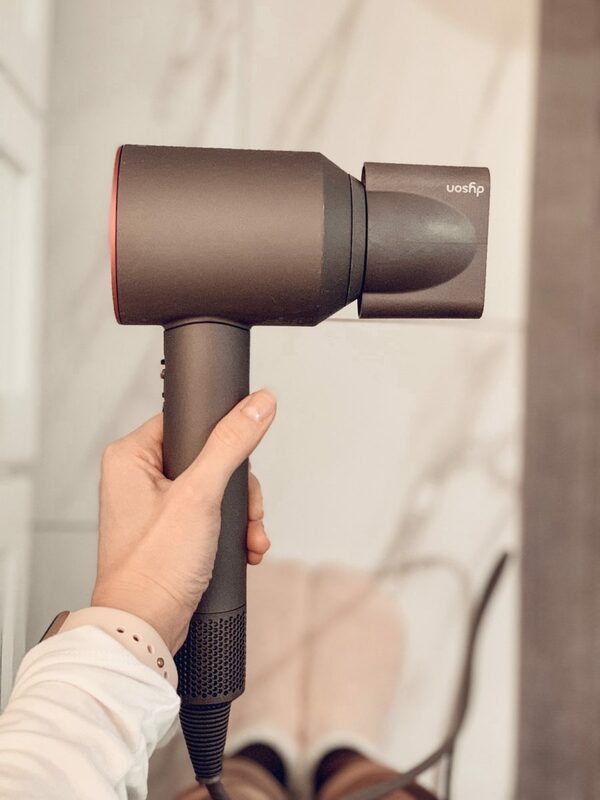 I also love that it has a 360 degree swivel cord because it makes it so much easier to maneuver – especially when I’m using it to curl my hair! 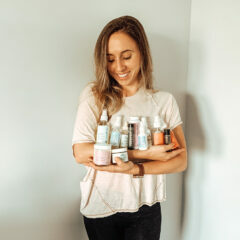 What are your go-to hair tools? Do you have any of the same tools as us? Let us know!